The Pacific halibut (Hippoglossus stenolepis) is the flatfish which belongs to the family Pleuronectidae. They are flattened fish which swim sideways. The upside has gray to brown color with underside white. The halibut are right eyed which is located on the upper and dark side of body. The body is elongated or diamond shaped. The small scales are buried in skin which makes the skin look smooth. It has symmetrical and broad tail. The maximum size of Pacific halibut that has been reported weighs 500 pounds and 8 feet long. Its diet is cod, pollock, turbot, octopus, shrimp, crab, eel, lamprey, sculpin. The spawning took place in December through February. 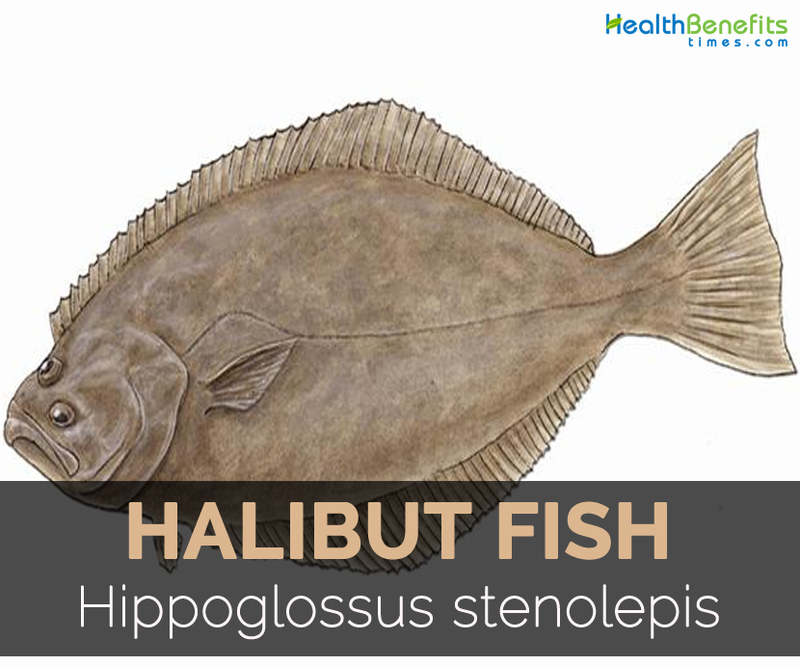 Hippoglossus stenolepis is also known as Pacific halibut, Halibut, Alaska Halibut, Hippos of the Sea, Cow of the Sea, Chicken Halibut and Hirame. The term is derived from word haly and butte which means holy and flat fish respectively. Cooked halibut of 159 grams provides 121.03 grams of moisture, 176 calories, 35.84 grams of protein, 2.56 grams of total lipid fat and 2.5 grams of ash. The same serving size grants 160.18% of selenium, 110.77% of isoleucine, 110.35% of lysine, 102.27% of tryptophan, 100.11% of threonine, 98.01% of valine, 96.19% of histidine, 88.39% of leucine, 84.17% of cobalamine, 78.61% of niacin, 77.31% of pyridoxine, 71.68% of protein, 65.14% of phosphorus, 21.71% of choline, 17.87% of potassium, 13.22% of Vitamin B5 and 10.71% of magnesium. Halibut fish has high content of Omega 3 fatty acids which has protective effect on cardiovascular system to prevent heat ailments, maintain balance between HDL and LDL cholesterol, prevent atherosclerosis, high blood pressure, arteries clotting, lower triglycerides, inflammation and stroke. The presence of magnesium relaxes veins and arteries by promoting the flow of blood and transport oxygen throughout the body. Mostly often, it is baked, broiled and grilled. Vitamin B12 helps to maintain the cells in human body. It plays a vital role for the functions such as repair, formation and maintains red blood cells. It also helps to maintain the nervous health. It provides relief from fatigue as well as weakness. Vitamin B12 enhance stamina in body. Vitamin B3 supports the functions of digestive system, stimulates appetite, glowing skin and nerve function. 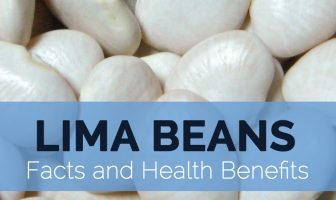 The high intake of Vitamin B3 lowers LDL cholesterol and increase the level of HDL cholesterol. It also prevents thickening of artery walls as well as conditions such as atherosclerosis. It should be avoided by the pregnant women due to high mercury content. It has purines which might cause health ailments such as formation of kidney stones and gout. The patients of uric acid, gout and kidney problems should consume it with caution. The people who are allergic to Halibut fish should avoid it. It is deep fried, boiled or grilled. The steamed Halibut is consumed with black bean sauce. In Alaska, Halibut fishing as a sport is very popular. The biggest Pacific halibut measures above eight feet long and weighs 500 pounds. They are strong swimmers and have large mouth. It hunts on ocean floor. Pacific halibut have lived for about 55 years. Calories 176 Kcal. Calories from Fat 23.04 Kcal. *Above mentioned Percent Daily Values (%DVs) are based on 2,000 calorie diet intake. Daily values (DVs) may be different depending upon your daily calorie needs. Mentioned values are recommended by a U.S. Department of Agriculture. They are not healthbenefitstimes.com recommendations. Calculations are based on average age of 19 to 50 years and weighs 194 lbs. Calories 186 Kcal. Calories from Fat 24.39 Kcal.